Join our experts for an opportunity to discuss the challenges in building two foundational pillars - integrity and safety. In the morning session, we will focus on integrity. We will learn about trends in integrity issues and the potential frameworks for guiding scientists in the integrity arena, led by Dr. Paul Oh and Ms. Katie Roposa and our distinguished speakers from government, academic and journal sectors. UHN's integrity advisors and ethics chairs will provide insights into the changes in culture that are needed to excel in this foundational area. In the afternoon session, we will discuss UHN’s experience in building and operationalizing an integrity framework and explore safety issues related to the commercialization of medical devices and the regulation of human pathogens. We hope this will be a day of sharing challenges, learning and networking, and strengthening our support to researchers in integrity and safety. 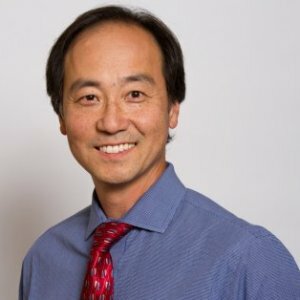 Dr. Paul Oh is the Medical Director and GoodLife Fitness Chair in the Cardiovascular Rehabilitation and Prevention Program at the University Health Network's - Toronto Rehabilitation Institute and Peter Munk Cardiac Centre. He obtained his M.D. from the University of Toronto in 1988 and completed specialty training in internal medicine, clinical pharmacology, and clinical epidemiology with a focus on the management and evaluation of risk factors and lifestyle interventions for cardiovascular, metabolic and other chronic diseases. He is a past President of the Canadian Association of Cardiac Rehabilitation and serves on the Board of Directors for the Cardiac Care Network of Ontario and the Cardiac Rehab Network of Ontario. Within the UHN research portfolio, he is a past Chair and current Vice-Chair of the Research Ethics Board for the Rehabilitation Medicine and Science Panel, and serves as a Research Integrity Advisor. Paul’s current research focuses on how exercise affects cardiovascular health and on ways of optimizing exercise interventions. He has received numerous awards for teaching and research and is the author of many peer-reviewed papers. Susan Zimmerman is the Executive Director of the Secretariat on Responsible Conduct of Research (SRCR) in Ottawa. SRCR is responsible for the implementation of the Tri-Agency Framework on Responsible Conduct of Research on behalf of the Canadian Institutes of Health Research (CIHR), the Natural Sciences and Engineering Research Council of Canada (NSERC) and the Social Sciences and Humanities Research Council of Canada (SSHRC). The Secretariat is also responsible for the Tri-Council Policy Statement: Ethical Conduct for Research Involving Humans. Ms. Zimmerman is a lawyer whose career has focused on health law and public policy. A native of Montreal, she received her undergraduate degree from Bryn Mawr College, civil law and common law degrees from McGill University, and a Master of Laws from the University of Toronto. 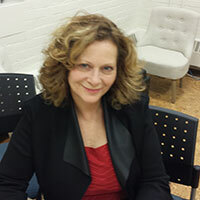 Her professional experience includes positions as a senior research associate at the Centre for Medicine, Ethics and Law at McGill University, Director of Legislation and Law Reform at the Canadian Bar Association, legal counsel at Health Canada and Director of Research for the Law Commission of Canada. Prior to her appointment to the Secretariat in September, 2007, Ms Zimmerman was a member of the Health Law Group at the Toronto office of a national law firm, where she represented health care institutions and a variety of health care professionals. She has also been a university lecturer in health law and ethics and a member of research ethics boards. Christine Laine, MD, MPH, is Editor-in-Chief of Annals of Internal Medicine and Senior Vice President of the American College of Physicians. She is board-certified in internal medicine and is on the faculty at Jefferson Medical College in Philadelphia. Dr. Laine received her medical degree from SUNY Stony Brook, and completed a residency at the New York Hospital (Cornell University), and fellowship in general internal medicine and clinical epidemiology at Beth Israel Hospital (Harvard University). Dr. Laine’s Master of Public Health degree is from Harvard University. She holds leadership positions in the International Committee of Medical Journal Editors, the Council of Science Editors and the World Association of Medical Editors. Professor Ferris manages the Research Oversight and Compliance Office (ROCO) at the University of Toronto, which comprises legal services, research ethics (human and animal), and research financial reporting and audit. She also works to address the University’s local institutional response to allegations of research misconduct and works with the academic division around educational programs to increase awareness of research integrity. Prof. Ferris is the university delegate for the purposes of significant conflict of interest reviews and determinations for NIH funded research. Professor Ferris is tenured in the Dalla Lana School of Public Health at the University of Toronto. Her research interests are in public health, medico-legal policy, women’s health and health services. She is the immediate past President for the World Association of Medical Editors (WAME), serves as Chair of the WAME Ethics and Policy Committee, and is on the editorial board for Medicine and Law, International Journal of Occupational and Environmental Medicine, and Risk Management in Canadian Health Care. She is a Senior Scientist at the Institute for Clinical Evaluative Sciences. Professor Ferris has a PhD in psychology and two LL.M degrees (Alternative Dispute Resolution and Administrative Law). Prior to joining the University's Office of the Vice-President, Research and Innovation, Professor Ferris served as the Associate Vice-Provost, Health Sciences Policy and Strategy and as a Special Advisor to the Vice-President, Research and Innovation. 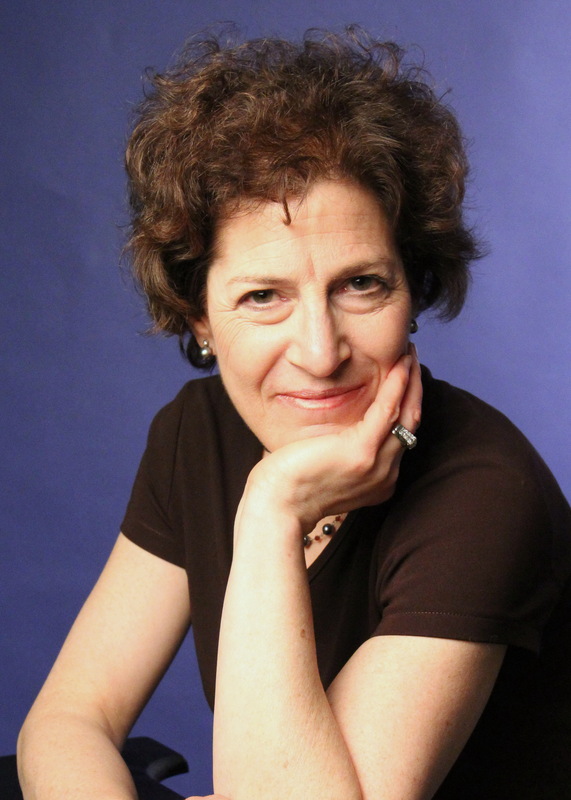 Miriam Shuchman is a psychiatrist and a freelance journalist. A former national correspondent for the New England Journal of Medicine, she now writes news features on biomedical science and bioethics for the Lancet, the Canadian Medical Association Journal and other outlets. Her 2005 book, The Drug Trial, won awards from the Writers’ Trust of Canada and the Canadian Science Writers Association. Miriam is also associate professor of psychiatry at the University of Toronto and a member of the clinical team at U of T Scarborough’s Health & Wellness Centre. Dr. Christopher Paige is the Former Executive Vice President (EVP), Science and Research at the University Health Network, Senior Scientist at the Princess Margaret Cancer Centre and Professor of Medical Biophysics and Immunology at the University of Toronto. As the Executive Vice President Science and Research, Dr. Paige lead the development, planning and implementation of UHN’s five research institutes (Krembil Research Institute, Princess Margaret Cancer Centre, Techa Institute, Toronto General Hospital Research Institute and Toronto Rehabilitation Institute) and oversees over 1,200 researchers and 2,000 staff. He also provides leadership and guidance on the boards of the Terry Fox Research Institute, Research Canada, the Ontario Institute for Cancer Research, the Ontario Health Research Alliance and the Council of Academic Hospitals of Ontario. He is a prolific scientist who maintains an active research program that seeks to uncover the biochemical pathways that regulate B cell development. He also has a continuing interest in increasing our understanding of the immune response and, in particular, the biochemical pathways that regulate immunity. His research has generated over 151 peer-reviewed journal articles, that have been referenced more than 11,000 times. For these and other research accomplishments, Dr. Paige has been honoured with the Bernhard Cinader Award from the Canadian Society for Immunology and the Research Award from the Leukemia and Lymphoma Society of Canada. 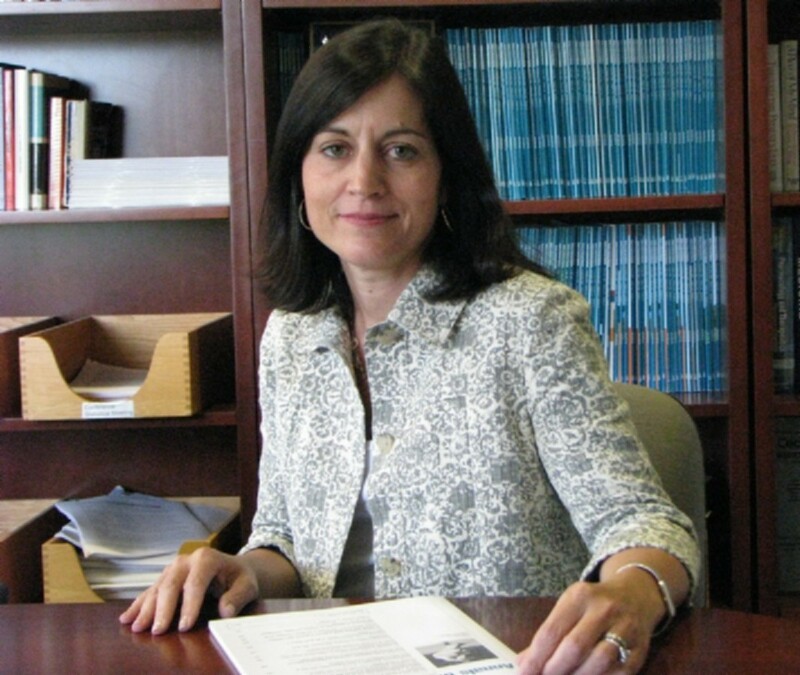 Bella Martin has been General Counsel at the University Health Network for the past 24 years. She has a Bachelor of Commerce from McGill University, a Masters in Health Administration from the University of Ottawa, and an LL.B. from the University of British Columbia. Bella clerked at the British Columbia Supreme Court following her graduation from law school in 1988, and was called to the Ontario Bar in 1990 after articling with the Toronto law firm of Borden Ladner Gervais. She was in private practice with this firm for two years following her call to the Bar. As General Counsel at UHN, Bella’s opinion is regularly sought on a wide variety of issues, including allegations of research misconduct. Dr. Walmsley is a Professor of Medicine in the Division of Infectious Diseases at the Toronto General Hospital. She is the Assistant Director of the Immmunodeficiency Clinic, and is the Director of the clinical research program there. Her Chair in Clinical Care and Aging in HIV from the Ontario HIV Treatment Network enables her to continue her clinical research in the area of HIV clinical management. She is the co-director of the CIHR- Canadian HIV Trials Network, and a member of the scientific review committee of the Canadian Association for HIV Research. She is a former member of the governing council of the International AIDS Society. Dr. Walmsley obtained her medical degree from the University of Western Ontario. She has completed specialty training in infectious diseases, microbiology and internal medicine. She has obtained a Master's degree in Clinical Epidemiology from the University of Toronto. 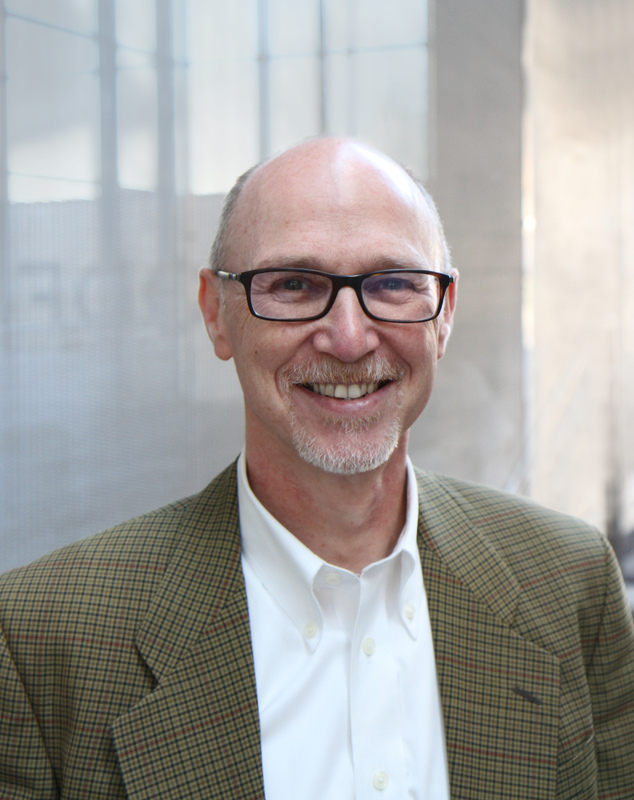 Barry Greenberg has been involved in Alzheimer disease research and drug discovery since 1985. He has held a series of positions internationally in the US, Sweden and Canada within the biotechnology and pharmaceutical industries. Dr. Greenberg was the leader of a drug discovery project at AstraZeneca through lead optimization, involving over 50 individuals from eight departments. Before joining UHN as Director, Neuroscience Drug Discovery and Development, he was Senior Director of Pharmacology at Neurochem and was responsible for the preclinical biology research program and contributed to the analyses of the phase III Alzhemed trial. He is also Strategy Director of the Toronto Dementia Research Alliance, a consortium involving academic research and the five memory clinics at hospitals affiliated with the University of Toronto. He possesses a significant background in most aspects of the drug discovery process in neurological disease, with externally recognized expertise ranging from early drug discovery through to clinical proof of concept. He has a strong international network in the Alzheimer disease field including industry, academia, government and the voluntary sector, plus previous involvement in multi-sector consortia. 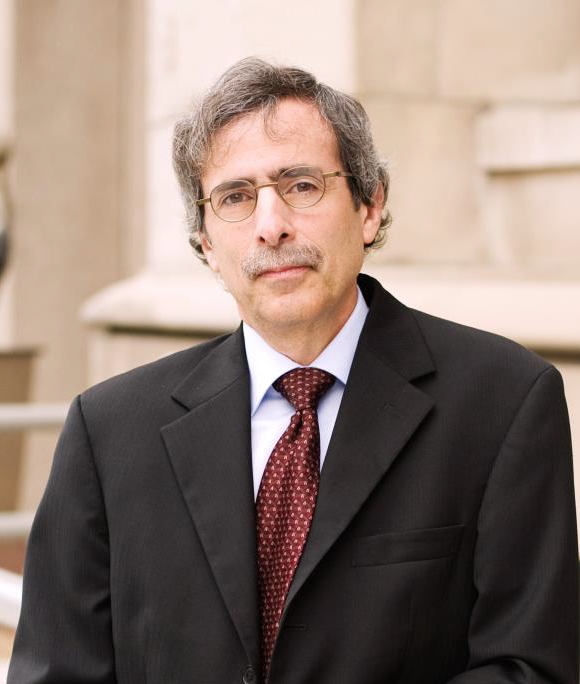 Dr. Greenberg was a member of the committee charged with drafting the scientific strategic recommendations to inform the National Alzheimer Project Act (NAPA) in the US in 2012, and was appointed as Chair of the Executive-Writing Committee for the follow-up Alzheimer Research Summit at the National Intitute of Aging (NIA) in February 2015. He was recently appointed by the NIA to chair an international committee charged with strategizing the structure of the Alzheimer Research Center network in the US to augment its capacity to contribute towards achieving the objectives of the US National Plan on Dementia by the year 2025. He has authored or co-authored over 70 articles in peer-reviewed journals and 19 book chapters and reviews. Jack Holland is currently Chair of the Oncology Research Ethics Board of the University Health Network. From 2003 to 2010, he was Chair of the Research Ethics Board of Hamilton Health Sciences/Faculty of Health Sciences; and from 2010 to2013, he was Chair of the Ontario Cancer Research Ethics Board at the Ontario Institute for Cancer Research. Born in Ireland, Dr. Holland received his medical degree from Queen’s University Belfast and certification in internal medicine through the Royal College of Physicians of London. In Canada, he completed pediatric training at the Hospital for Sick Children in Toronto and a research fellowship in pediatric endocrinology at the University of California in San Francisco. Following a full time position in pediatric endocrinology at The Hospital for Sick Children from 1977 until 1990, Dr Holland was appointed Chair of Pediatrics at McMaster University and Chief of Pediatrics at McMaster Children’s Hospital. He is a past-president of the Canadian Paediatric Society (CPS) and has also served as President of the CPS Foundation. Dr Holland has published widely, with specific research interests in growth and in abnormalities of pubertal development. He has been recognized for his innovative approach to medical education throughout his career in pediatrics, and is actively involved in the educational aspects of research ethics. From 2010 until 2013 he was elected as a member-at-large to the Board of Directors of the Canadian Association of Research Ethics Boards (CAREB) and served as a member of CAREB’s Professional Development Committee. Ann Heesters is the Director of Bioethics at Toronto’s University Health Network, Chair of the UHN Rehabilitation Science and Medicine Research Ethics Board, and a bioethicist with the University of Toronto’s Joint Centre for Bioethics. Ann has been practicing in the field for approximately fifteen years and was the Director of Ethics at The Ottawa Hospital before coming to Toronto in 2009. She has an abiding interest in the evolving standards of practice for health care ethicists and, with her colleagues at the American Society of Bioethics and Humanities, helped to author a code of ethics for ethicists. She was also a founding member of PHEEP (Practicing Healthcare Ethicists Exploring Professionalization) and the Founding Director of the newly established non-profit board called CAPHE (Canadian Association of Practicing Healthcare Ethicists). A former reservist with the Canadian Infantry, Ann periodically reviews research grant proposals (related to the rehabilitation of veterans and active duty service members) for the United States Department of Defense. Ian McDermott is the Senior Director of Research Facilities Planning and Safety at the University Health Network. He is also the President of Sustainable Labs Canada (SLCan). Ian has been a member of the senior management team for research at the University Health Network for the last 18 years and was a member of the research management team the Wellesley Hospital Research Institute since its inception in the early 1990s. In his current role as Senior Director, Research Facilities Planning and Safety, he works intimately with researchers, administrators, engineers, architects, contractors, building operators, vendors and regulators in designing laboratories and establishing operational parameters. Ian and his team are scientific interpreters, translating needs and concepts between the scientists and design/operational teams. He is also responsible for the facility maintenance and operations of the Princess Margaret Cancer Research Tower (at MaRS) and the Krembil Discovery Tower. Ian strives to ensure that these environments continue to be leading sustainable research environments and to meet the needs of UHN's researchers. With a clear focus on the needs of the researchers, Ian has been instrumental in developing effective, efficient and safe research workspaces that are sustainable, while continuing to meet all regulatory guidelines. In the summer of 2015, Ian was elected as SLCan’s second President. Ian holds a specialist degree in molecular genetics and molecular biology from the University of Toronto. With over 15 years’ experience in the clinical research regulatory environment, study administration, operational risk management and organizational program development, Katie leads UHN's Research Quality Intergration (RQI) team in identifying and managing risks based on systems and process analysis in support of clinical research excellence. As Director of Research Quality Integration, Katie uses this expertise in combination with skills such as project management and Lean for Healthcare to lead the development and implementation of quality initiatives and best practices in the organization, such as Clinical Research Standards, Internal Quality Audit Program and the Responsible Conduct of Research framework. Katie is a Certified Manager of Quality and Organizational Excellence with the American Society for Quality (ASQ) and holds a Master’s Certificate in Operational Risk Management from Schulich Business School at York University. Katie is a Registered Nurse with a BScN from Ryerson University and a Master’s degree in Education, specializing in adult education from the University of Toronto. Gianfranco Scipione is the Manager of Research Integrity in the Research Quality Integration Department at UHN Research. Gianfranco’s background and work experience is quite diverse. After completing graduate studies in organic chemistry, in which his research focused on the isolation and synthesis of organic compounds, Gianfranco pursued a joint J.D./M.B.A. degree. Combining his scientific background and education in law and business, Gianfranco made a natural progression into health care and patent law, where he predominantly practiced pharmaceutical patent litigation. Gianfranco brings to his role a wealth of experience and knowledge, and a unique ability to support the dynamic scientific, legal, and business aspects of the biomedical research enterprise at UHN. Research integrity often involves understanding and communicating expectations to support all these elements; Gianfranco has been able to apply his diverse experience to continually improve integrity processes, proactively promote integrity and foster excellence in research at UHN. Duoaud enjoys bringing order to chaos in all aspects of life-making quality and regulatory affairs a perfect fit for him. 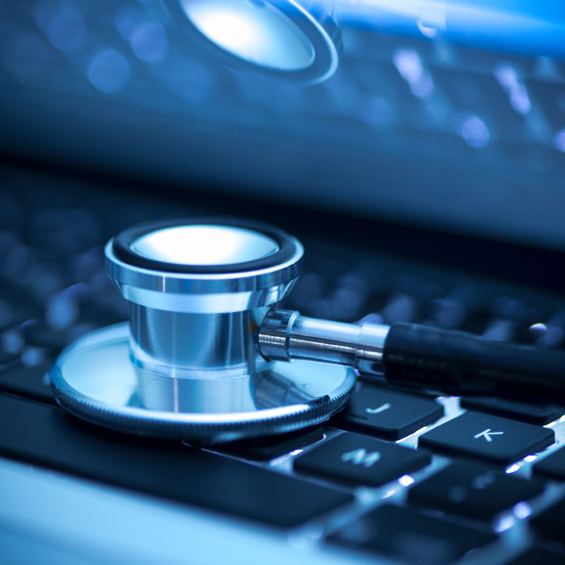 With a background in medical biophysics from the University of Toronto, Duoaud has developed and maintained quality management systems for both hardware and software for innovative medical device technologies. He has led the business development and complete overhaul of the day-to-day operations of a cutting edge research facility, the UHN Microfabrication Centre, which hosts one-of-a-kind technologies in Canada. Currently, Duoaud manages the software development of a number of products primarily in the radiation therapy sphere for the improvement of quality control and quality assurance with significant international collaboration. John Shannon is Safety Manager, MedRIST and Manager of Research Safety at the University Health Network. Additionally, he is the Biosafety Officer and Laser Safety Officer for UHN Research. He leads a team of Safety Coordinators that are driven in developing and maintaining UHN Research safety programs including biosafety, chemical safety and general laboratory safety. He is a key liaison with safety and environmental regulatory bodies. In alignment with infrastructure-related projects, John ensures that space planning and design initiatives across UHN comply with regulations, standards and guidelines to create safe, healthy and secure research environments. John and his team have conducted over 1,600 safety audits and 1,400 biosafety risk assessments, and have provided safety training for over 7,500 students and staff. John has 13 years of direct laboratory experience at the Princess Margaret Cancer as a Research Laboratory Manager and has co-authored seven peer-reviewed papers. He has completed various biosafety training courses including the High Containment Biosafety training in Winnipeg at the Canadian Science Centre for Human and Animal Health. John is a Joint Health and Safety Committee Co-Chair at UHN, is a member of American Biological Safety Association (ABSA), a member or the Canadian Association of Biological Safety Officers and an affiliate member of the Ontario Universities Biosafety Officers. John graduated with an Honours Bachelor of Science degree in biology from McMaster University. Centennial College is Ontario's first community college, it was established in 1966 and primarily serves the eastern portion of the Greater Toronto Area through four campuses and seven satellite locations. Our college is best known for its record of exemplary teaching, innovative programming and extensive partnership building. Centennial is one of Canada's top colleges for research, innovation, and entrepreneurship. In Our Strategic Plan (Our Book of Commitments), we committed to Drive Innovation and Entrepreneurship by integrating key related functions within the College. This is why we have brought the Applied Research and Innovation Centre (ARIC), the Centre of Entrepreneurship (COE), and the newly formed Wearable, Interactive, and Mobile Technology Access centre for Health (WIMTACH) together into a single unit named ARIES (Applied Research, Innovation and Entrepreneurship Services). In including ‘Services’ in our name, we also reiterate our commitment to Centennial’s Service Promise. This convergence will help us serve our clients better by realizing synergies, and providing a single point for service. We can now provide our services through a physical presence at three of our four campuses. In this integrated form, we serve dozens of businesses each year, helping them to overcome both innovation and entrepreneurship challenges. We will also offer Centennial students, faculty, staff, administrators, and our partners, opportunities to connect more easily to share expertise and experiences to the benefit of all.